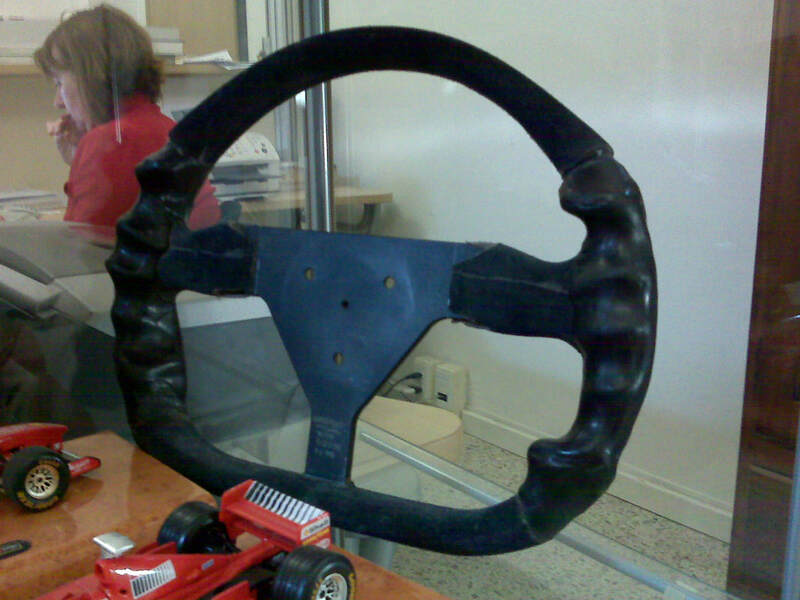 Michael Schumacher's custom-molded steering wheel got reunited with the inventor of the custom-molded steering wheels after 18 years at the Annual Steering Conference in Berlin, Germany on April 23rd, 2013. Dellis recounted the job of molding the steering wheel for overseas delivery without him being present to fine-tune the steering wheel. An experimental palm swell was tried on Schumacher's wheel to make it feel totally transparent, and Dellis trusted Richard McAinsh to finalize the design...luckily, no changes were needed. Michael raced this wheel starting in Monoco and continued to use it throughout the remaining season while at Benetton in '95.